Colonia, Yap – After a rough first day, Guam’s Tatiana Sablan and Kiara Rojas bounced right back in Day 2 as they defeated RMI in straight sets. The serves were cleaner and the two started to click by defeating RMI 21-15, 21-16. Guam’s ladies continued their strong play on Day 2 after dominating the host island Yap in straight sets. The men’s team lost to Palau in the early morning game and nearly came away with toppling the top seeded team in Kiribati. Guam’s Ryan Eugenio and Shin Okada stormed out to a 1st set lead before Kiribati answered back to force a 3rd. 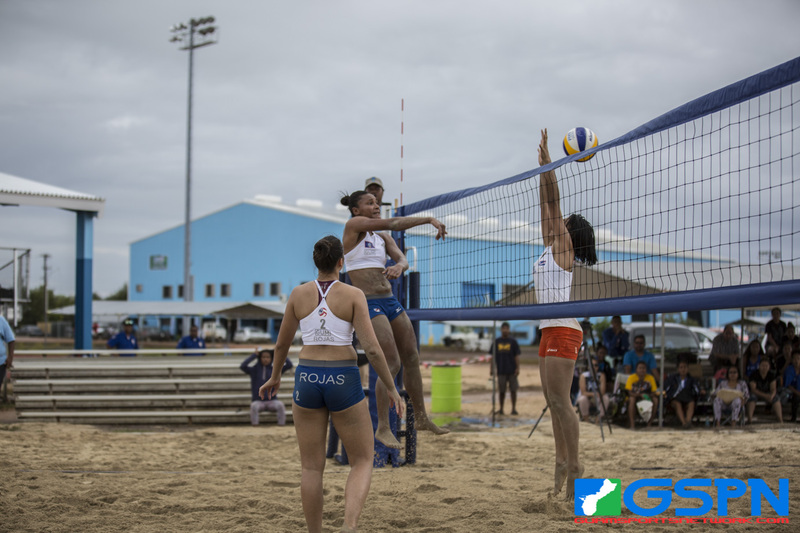 Guam was in the drivers seat up 13-11 in the final set, but Kiribati ran off four straight points to take the 15-13 set, and game. The playoff rounds begin tomorrow morning with the medal rounds set to conclude later in the afternoon. A win tomorrow by any of the Guam teams will secure at the very least a bronze.